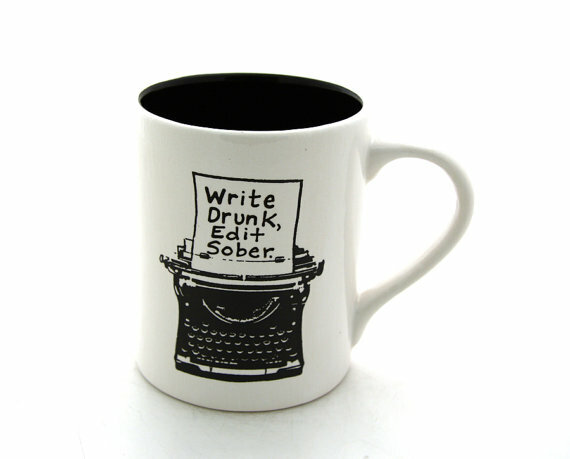 If your gift list includes avid readers, take heart. 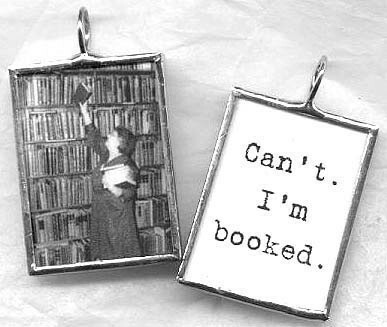 We’ve found extraordinary presents for every reading geek. In fact there are so many delights, it’ll take us a few days to share them all. Bookmark this list to use beyond the holidays and to satisfy your own reading-related hankerings. Remember to check out chapters one and two, plus upcoming chapters in this guide. Handmade mugs readers “get” from Lenny Mud. These handmade pottery pieces are fired at high temps, easily withstanding the microwave and dishwasher. We’re fond of the writer’s mug ($16), Frankenstein and bride mug set ($35), Dr. Who Tardis travel mug ($20), and reading superpower mug ($18). For fun, check out their non-bookish designs, like the I scream for ice cream bowl ($16) and mustache dunk mug ($20). And if the design you like is sold out, contact them, they’ll make you another! Steampunk book locket, which evokes the way reading gives us wings. The Etsy shop MD Sparks starts with an antique copper book locket, then embellishes with unique settings and vintage watch movements. Each one is different, like the silver compass book locket ($32), sterling wing book locket ($35), wing steampunk book locket ($29), and copper book locket ($29). We have to admit adoring the robot steampunk necklace ($35), which is surely relevant to every robot book out there. For a piece related to your favorite book, order the custom mantra necklace ($29). 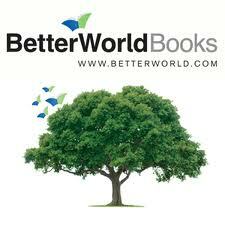 Better World Books gift certificate is a great way to give the gift of reading. That’s because Better World Books is a company founded on equitable business principles plus a commitment to supporting literacy. Already they’re donated 6.7 million to non-profit partners and 6.4 million to libraries.. Every purchase benefits literacy causes, plus now there’s an added incentive, for each book sold they’ll give a book to someone in need. They accept donations of gently used books too (just in case you’re de-cluttering). Gift certificates in amounts of ten dollars and up are emailed, printable, and good for a year. Book lover’s pendant ($10) from Etsy shop Arts Vandalay. This tiny piece is made using stained glass techniques. It can be worn around your neck, or hung on a holiday tree, from a rearview mirror, or from one ear. This maker also offers a book club pendant ($10), patron saint of geeks pendant ($10), and welcomes custom work. 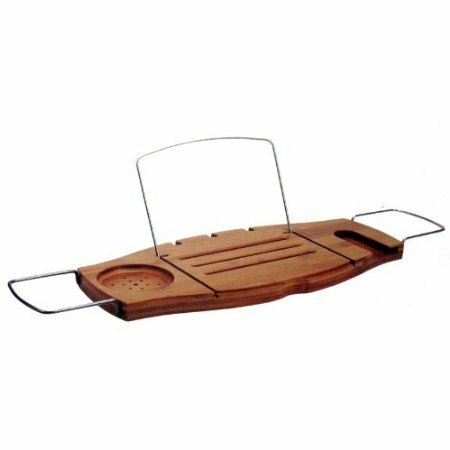 Bathtub Book Caddy ($47.24) is essential for true reading luxury. It holds a book or magazine (or for the daring, an e-reader) in place, with a draining soap tray plus special slot to hold a wine glass. It’s made out of resilient bamboo and the wire arms fold down for compact storage. Peace sometimes requires a locked bathroom door, tub of water, and a good book. 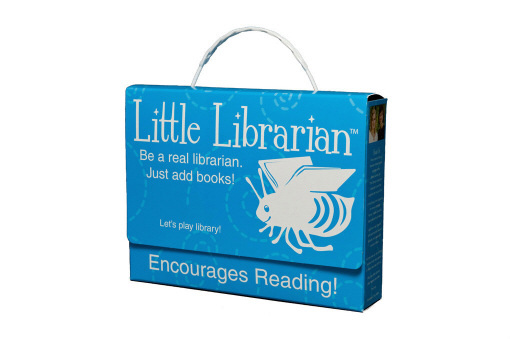 Little Librarian ($19.99) is a kit to make any child’s collection of books a library. It contains book pockets, book cards, library cards, mini file folders, reading awards, bookmarks, overdue slips, and a reading journal. This award-winning toy can inspire hours of play, maybe a lifetime love of libraries too.